Scrum is part of Agile project management with a particular focus on flexibility and adjustability. Scrum originated as a project management method used by software teams. 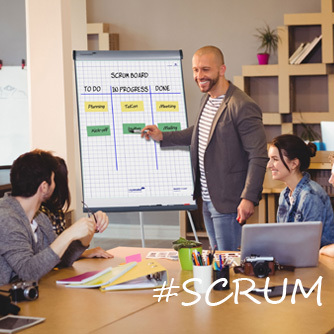 Nowadays, however, Scrum can be used for any project in any organisation by any organisational unit, be it Sales, Marketing or Finance! Large, wide-ranging planning schedules at the beginning of a project are replaced by adjustable plans. An adjustable plan coupled with fast, efficient team communication supports your Scrum team. For projects, key elements include maximum flexibility, dynamism and daily meetings in which all team members align their areas of responsibility. The Daily stand-up meeting takes a maximum of 15 minutes and allows your Scrum team to align tasks and to set a plan for the next 24 hours. The ultimate goal is to reach the sprint objective that was set. The sprint objective is a concrete project result to be accomplished within a short timeframe, for example 2 weeks. This timeframe is called “the sprint”. 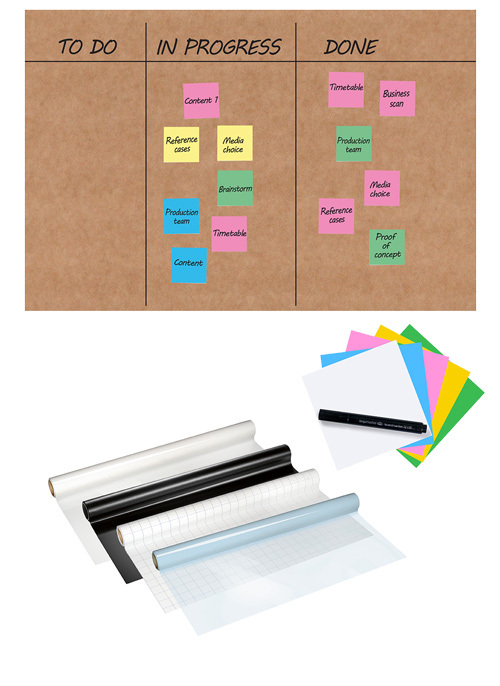 Brown paper or a whiteboard can easily be transformed into your perfect Scrum board. 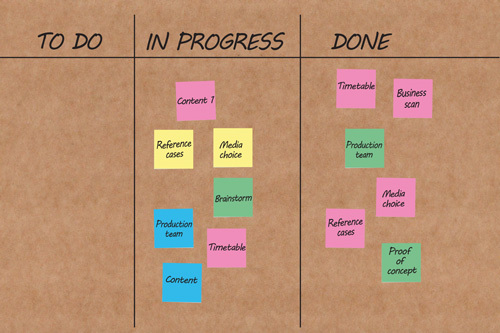 A Scrum board is the ideal project tool for Scrum teams, because it supports the team by visualising the entire process of your Scrum project, allowing you to make complex dependencies visible for all to see. What’s more, dynamic project steps for each team member can be visualised in real time. 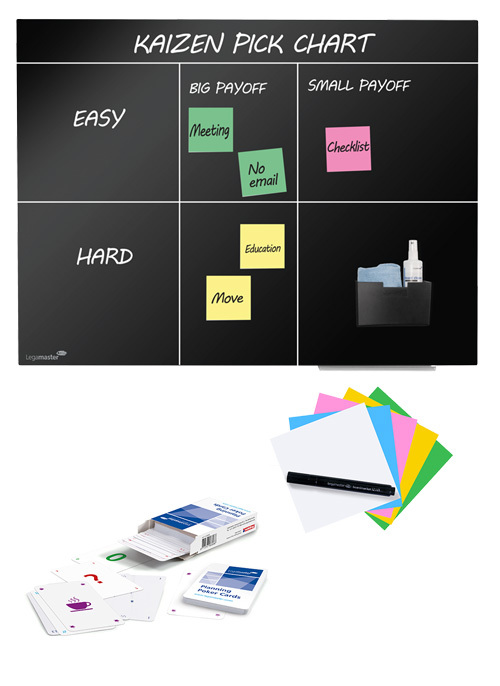 What does a Scrum board look like? There is no standard Scrum board layout. Each board is different. 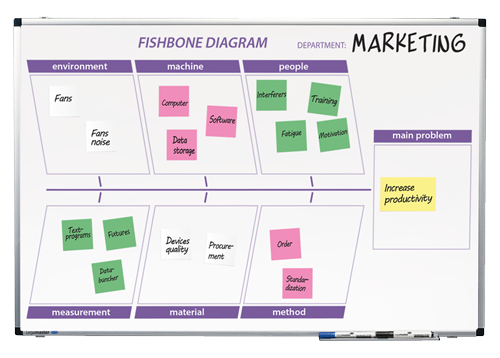 Experiment with a range of layouts to find the board that best supports visualisation for your team. Use feedback from the team and adjust the layout if the one you’ve selected doesn’t work. Products that can support you in this include divider tape (for making columns) and dry-erasable markers (for writing headers). 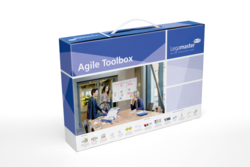 Are you an Agile coach, Scrum master, Product owner, Scrum team member, Project manager, Project team member or Facilitator looking for the right Scrum products? 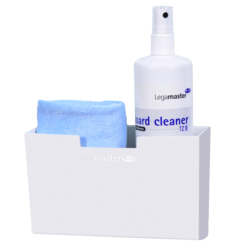 Be inspired and discover examples of Legamaster Scrum solutions. 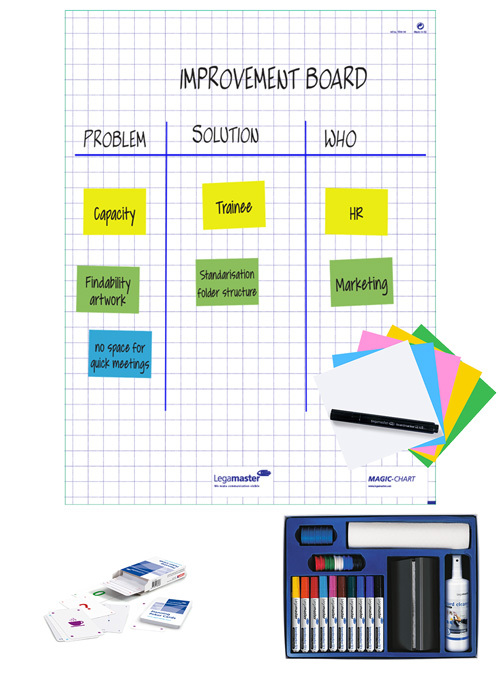 You only need bare essentials to set up a small Scrum meeting in no time! Time to get started in a fast and easy way? 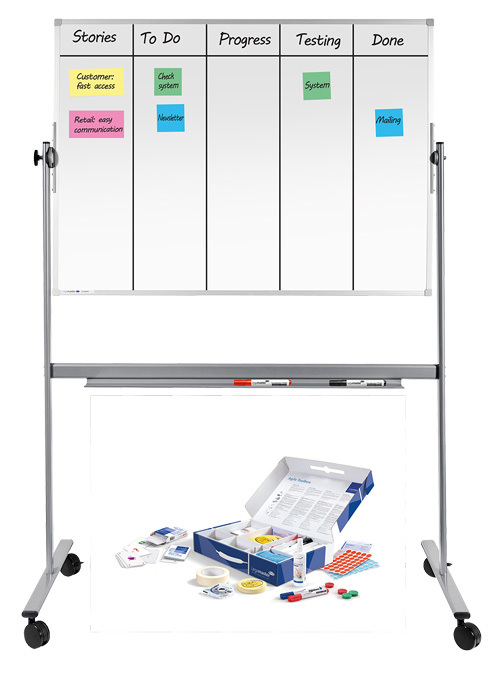 The Agile Toolbox turns any whiteboard into a customised Scrum board! 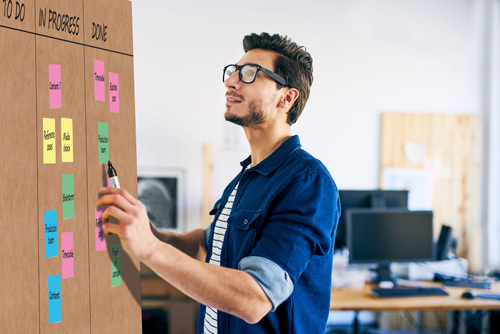 Did you consider using brown paper or Magic-Chart sheets to be the basis of you Scrum board? 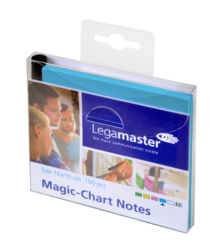 Paper and foil are flexible and can easily be taken to the next meeting room! 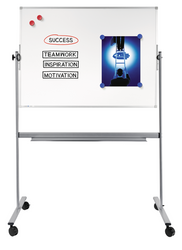 With the right whiteboard accessories and some Scrum specific tools anyone can set up a Scrum meeting in no time! 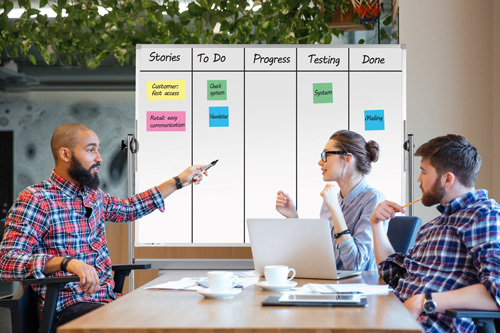 To make things really nice and easy, teams already working with a pre-designed Scrum board on a regular basis can also use a pre-printed Scrum board specially tailored to their needs. 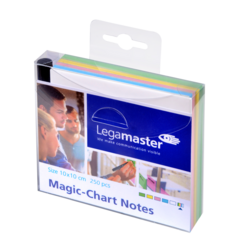 Legamaster provides the means to create the perfect Scrum board for any situation and offers a full range of accessories to enable your team to get started right away. 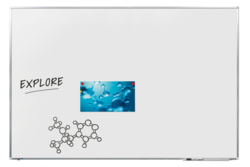 Why not take a look at our Custom Printed Whiteboard Artwork Guidelines and contact us for more information? Alternatively, start designing right away! 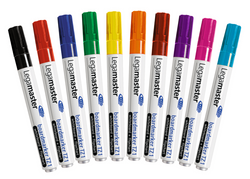 Want to know more about Scrum products from Legamaster?